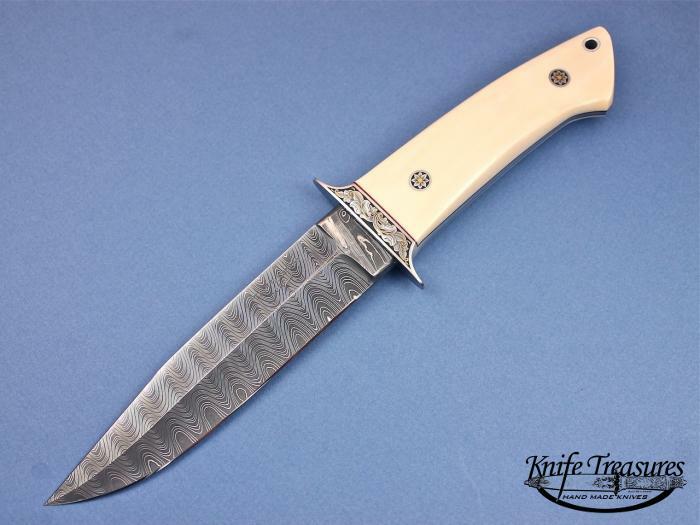 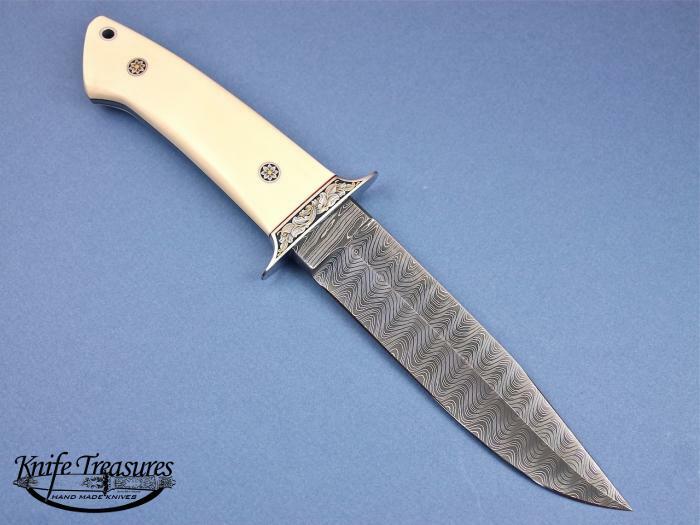 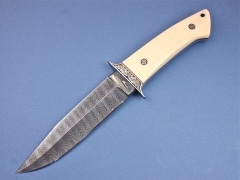 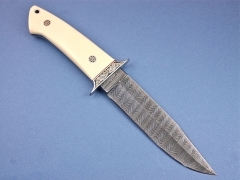 A beautiful "Wilderness" model by Thad Buchanan done with Devin Thomas Ladder Pattern Damascus. 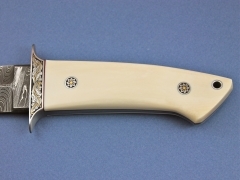 The knife has beautiful Antique Ivory handles and has been nicely engraved by Joe Mason. 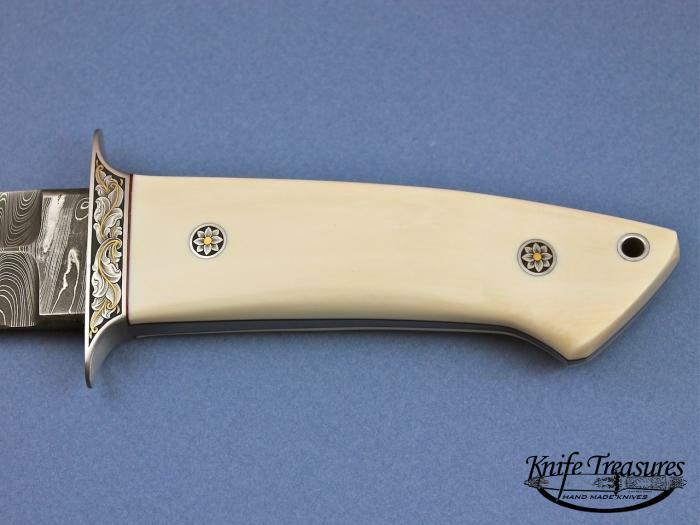 Joe did some very nice scroll-work on the guard and engraved the pins as well.